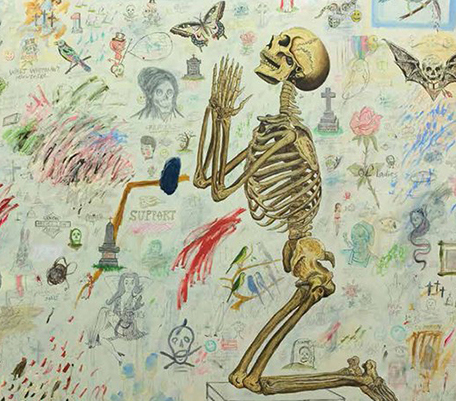 Brooklyn artist Wes Lang, perhaps most recently known for his artwork featured on Kanye's latest concert wear, has a new book out featuring a collection of his last 10 years of artwork. Pretty dope. Check it out here.